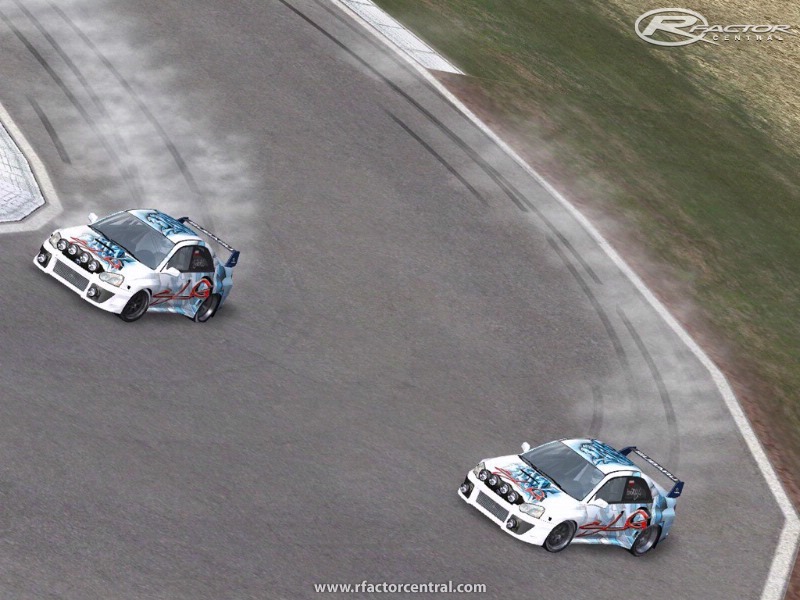 WRC subaru for rFactor and GTR2. got 3xdifferent R-Wings,also rims from merlin75(deep BBS)and OZ rims 5X differnt wheels,mudflaps,roofvent,wrc spotlights, and Extra 200bhp engine,669bhp ,589p/touque,skins from me The stigg. you will find the hawkeye spec-c vf-34 turbo /based engine spools up quicker than blobeye witch i based more on td05 turbo witch has more peak power ,so hawkeye is quicker on tight tracks but loses out to blobeye on tracks with longer strait's. i have tweeked tires for this mod because of phyics are lot different than what limster's phyics he uses. I personally much prefer this version to any of the later versions using TheStigg's work. Still the quickest thing Ive ever driven over Mount Arrowsmith! What s the track of the penultimate picture? V1.20 + 1.22 NO LINK WORKING FOR DOWLOAD . One problem, sound is ... "dirty".